Running a slalom course … in the snow … in a Miata … with the top down was just one of the enlightening experiences of the first Mazda Ice Academy. That opening (and potentially career-ending) comment was delivered by Mazda product specialist Ramana Lagemann, and–trust me–it was a phrase none of the assembled auto journalists had ever before heard at a press preview. In fact, most manufacturers spend a great deal of (entirely justified) time imploring us NOT to go over the limit, as things quickly get expensive when we do. Just ask any prematurely grey PR rep. 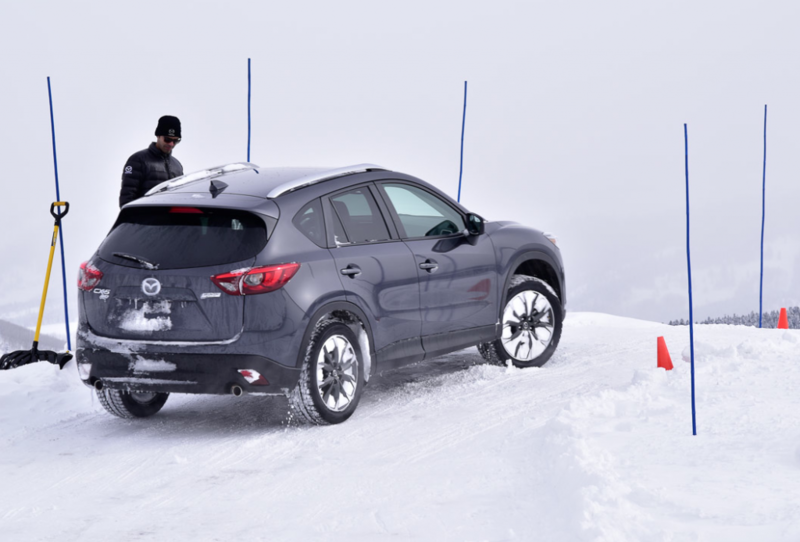 Yet “over the limit” became the order of the day at the first Mazda Ice Academy, held in beautiful Crested Butte, Colorado. And it really didn’t take a lot of encouragement to get us there. Of course, Mazda designed its program so that forays across the line bruised little besides our egos, and what would normally count as demeaning spins became so de rigueur that is was almost an embarrassing mark of timidity if you didn’t pirouette a car at least once. And “timidity” is not a fault usually associated with auto journalists. There’s an old adage that you never really know your limits until you’ve exceeded them. This is especially true in auto racing, where most of the top contenders have spent a fair portion of their careers in hospital beds. That certainly wasn’t the goal here (nor was it ever really a risk), as most of the tricky driving was done on closed courses—with lots of run-off room. First came an unlikely exercise: Run an ice-covered slalom course in—of all things—a Miata. Top down. Granted, they were fitted with winter tires (more on this in an upcoming post), but weaving a rear-drive car through pylons at anything approaching speed is a sure-fire way to end up someplace you weren’t intending. There were a couple of lessons learned in this exercise. 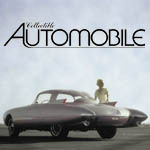 First, catch a spin early; as soon as you sense the rear end stepping out, lift off the gas and counter steer. Too many people fail to do the former, which often renders the latter ineffectual. Second—and perhaps less intuitively—be what the instructors referred to as “A grip seeker.” If you’re driving down a snow-covered street, the tendency is to follow the already-made tire tracks. That’s okay, unless you see they’re “shiny” – which means, “slick.” This can be due to packed-down snow or sheer ice; either way, when you hit the brakes, you’ll slide. So they taught us to venture off the beaten path when trying to stop or turn, as virgin snow offers far more grip than packed snow or ice. This advice really came into focus on the slalom course. Hit a corner on ice, and the back end snaps around so fast it is impossible to catch—as numerous drivers demonstrated. But head out a ways from the inside line—where there was “loose” snow rather than hard-packed stuff—and you had much more grip (and far more fun hanging the tail out in a controlled fashion). 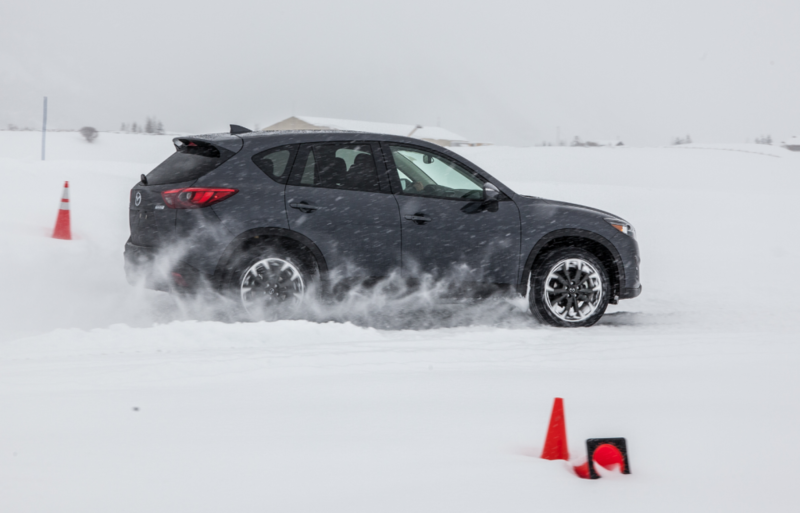 Hurtling a Mazda CX-5 through a snow-covered road course with reckless abandon is way more fun–and enlightening–than you might expect. Much of the intent of the trip was to explain—and demonstrate—Mazda’s i-ACTIV all-wheel drive system. Mazda refers to it as “predictive,” which may sound like just so much marketing hyperbole. But it’s really not. There are two types of all-wheel-drive systems commonly found in cars and crossovers. The “permanent” type always sends power to all four wheels, though it can usually apportion it based on which have the most grip. Because all four wheels are always being driven, there’s generally an increased wear factor along with a fuel-economy penalty. Thus most modern crossovers use an “on demand” all-wheel-drive system. These wait until slip is detected in the front wheels before a clutch in the transfer case is engaged that sends power to the rear wheels. Trouble is, the time it takes to engage the clutch can result in some front wheel spin before the rear wheels receive power. This can be more than just disconcerting, as the spinning wheels can turn snow beneath them slick, which means those wheels don’t have as much traction by the time the rear wheels are engaged. What i-ACTIV does is use various sensors in the vehicle—most already there for other purposes—to predict when the front wheels might slip, and engage the rear wheels in sort of a “preemptive strike” before they do. For instance, one sensor detects when the vehicle is pointed up hill, which reduces traction at the front wheels and makes it more difficult to move the vehicle forward. Another senses when the steering wheel is turned to the side, which not only makes it harder to move the vehicle from a stop, but also “unloads” the inside wheel, giving it less traction. The outside temperature sensor detects when it’s below freezing, when slick roads are more likely. And the sensor that automatically turns on the rain-sensing wipers can tell if it’s raining, and thus if the roads are wet. All of these work with a transfer case that engages the rear wheels very quickly, and often before the driver even hits the gas to take off. Several demonstrations pitted Mazda’s i-ACTIV-equipped subcompact CX-3 and compact CX-5 crossovers against some of their competitors. And—rather predictably—the Mazdas acquitted themselves quite well. Mother nature had smiled on Mazda and dumped several inches of fresh snow on the ground the day before. Thus our drive through town had us passing one vehicle that good Samaritans were trying to pull out of a ditch. Other than that, few people were on the roads, so we were able to accelerate from stop signs and up hills to test the vehicles’ reactions. Some fared better than others on this drive, but the Mazdas I drove did as well as any. Then it was on to a couple of test-track courses that included uphill and downhill runs along with fast corners. We were encouraged to push the limits—which, as mentioned before, often results in exceeding them—as there was plenty of run-off space beyond the pylons. Although almost anyone who’s had any race-track training has already heard it, our instructors reiterated the well-worn advice that if you find yourself in a skid, look where you want to go rather than at what you don’t want to hit. The theory is that your hands instinctively turn the wheel toward where you’re looking, but your survival instincts tend to make you look at what you perceive as danger. So it’s a bit of a battle to make yourself do it, but it does seem to work. And again, the Mazdas felt about as stable on these courses as any other vehicle driven. That’s not to say they didn’t slide around some (due entirely to our concerted efforts to make them do so), but some of the others didn’t feel as easily controllable at the same speed. The next test was clearly designed to make the Mazdas look good, but that’s not to say it didn’t represent real-world situations. It was a difficult test that some rivals failed rather miserably: start from a dead stop, on snow, turning right, going uphill. But the Mazdas fared well, largely due to their “predictive” i-ACTIV all-wheel drive system that engages the rear wheels based on predetermined criteria rather than waiting for the front wheels to spin first. We drove the cars up a mountain of snow, then came to a stop near the top and turned the wheels fairly far to one side. Then we tried to get started again, climbing and turning at the same time. One competitive vehicle spun its front wheels so much before kicking in the rears that it started to slide sideways down the hill. Another didn’t seem to want to kick in the rear wheels at all. Meanwhile, the Mazdas climbed and turned quite well, with little fanfare—at least until they had to do it on the slick surface the others had created. The idea here is that the i-ACTIV system already had the rear wheels engaged before the driver ever hit the gas, thus providing better traction in a difficult situation. But undoubtedly, Mazda saved the best for last. And we journalists weren’t even driving. Promoted as, “The coldest hot laps you’ll ever take,” we sat in the passenger seat of a top-down Miata driven by a professional through a long, very wide road course cut through feet-deep snow. There were times these guys hit more than 70 mph, but there were few times the cars were ever going straight. Seemingly racing along on ball bearings, the tails were wagging virtually the whole way around the track. It was not only great fun for the passengers, but it was clear the drivers were having a blast as well. When I asked mine why they didn’t let us journalists drive on the course, he replied flatly, “Because it’s not as easy to pull a car out of a snow bank as you might think.” It sounded suspiciously like the voice of experience. So it was all great fun, and also a great learning exercise. And as far as I know, Ramana Lagemann still has his job. Written by: Rick Cotta on February 22, 2016.on March 22, 2019.